Built in 1875: Original home of Robert P. Anderson. Owned by Samuel Robertson, operator of a box manufacturing business on Mill St. After the railway came to Harriston many houses were built to accommodate the employees. This was one such dwelling. 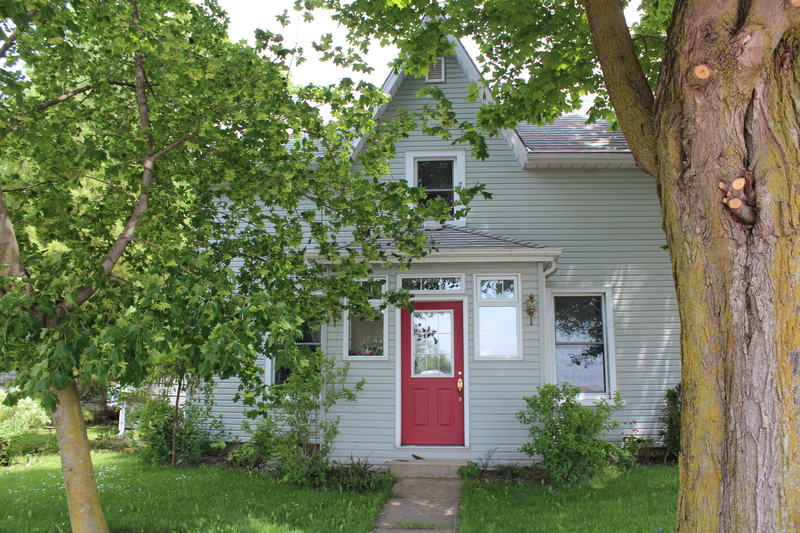 Robert Anderson took out a mortgage on this property to have the house built, but when he moved on with the railroad expansion and mortgage not paid off, the house reverted back to Mr. Robertson, who rented it out until Thomas Johnson bought it in 1882. 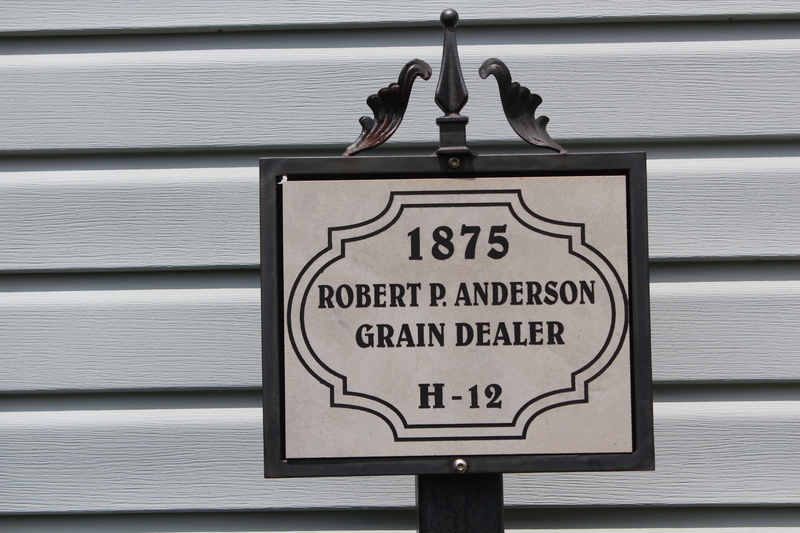 Mr. Anderson was employed with the Wellington Grey & Bruce Railway and worked with George Anderson, who operated the grain storage buildings for the now red-bricked shed on the property housed his horses. His son, Edward was the Police Chief in Harriston for a time. Former owners: 1875 Robert P. Anderson, 1882 Thomas Johnson, 19 22 Edward Johnson, 1935 Cassandra Scotney, 1959 Gordon N. Campbell, 1971 Wesley & Ruby Porter.